COHU 4912-5000 High Performance Monochrome CCD Camera Surveillance - Scientific . New Life Scientific, Inc. 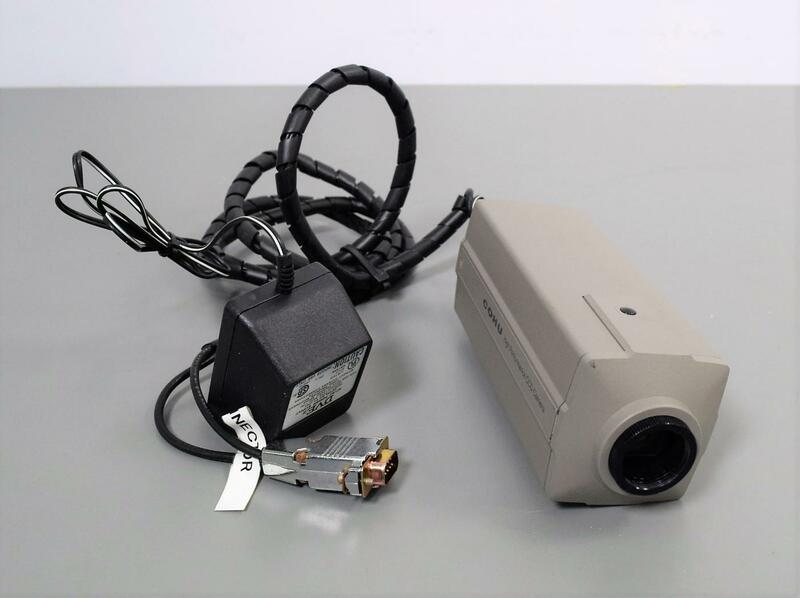 The 4910 series High Performance Monochrome ½” CCD camera offers a high resolution and high sensitivity for use in a broad range of security/surveillance, scientific, and industrial video applicants. Untested and in good cosmetic condition, this camera still carries our 90-Day Warranty. Includes the power adapter and serial cable connector.